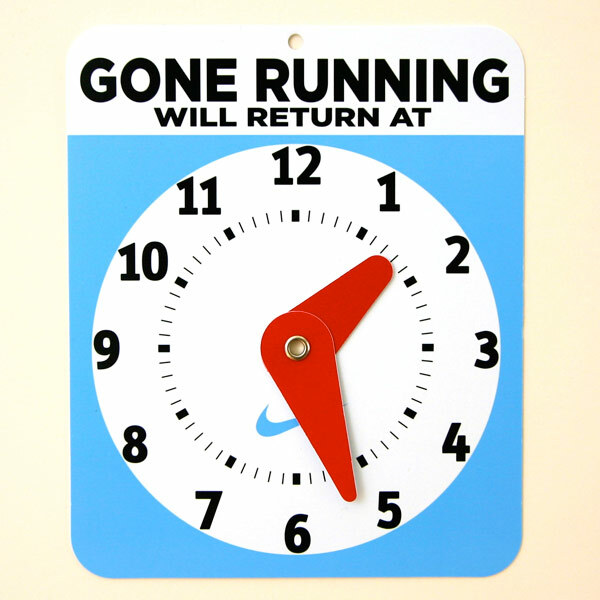 Gone Running, will return at: _____. 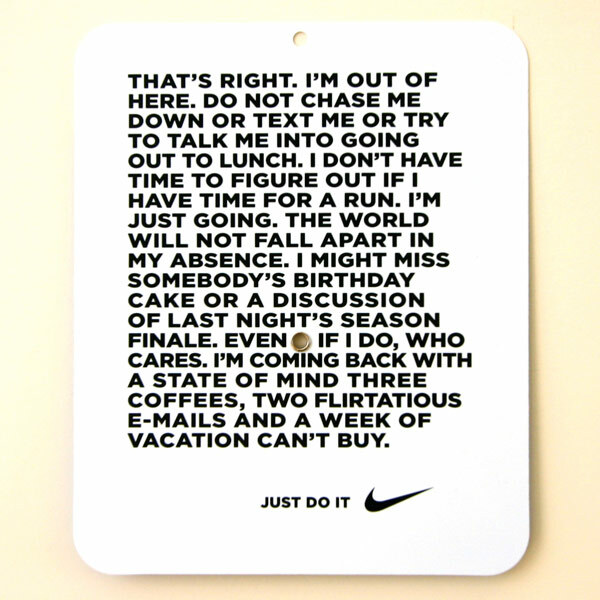 Great little signs that they were giving out in the Portland airport Nike store a while ago (thanks, mom!). Too cute not to post - close ups below. They also had HUGE versions of these in the niketown windows in downtown SF last time i wandered by there. Love that the rambling text on the back ~ fonts, layouts, simplicity. UPDATE: if you like THIS (or want one of your own) check out the follow up post on the interactive version and how to get your own. I love these signs!! How can I get one for myself and my husband??? I’ve actually been looking into how to make these signs myself. Not I’ll need to go track down one of these. Awesome! I love it, I want one, I wish like hell I could run at lunch. If you move the hand around it shows different sayings. 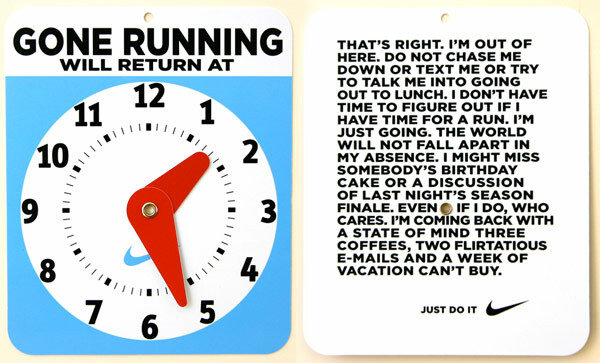 My fav is “3:00PM If you went running when you first started thinking about it, you would be back by now.” Great copy. I came across it a couple days ago when I was browsing the nike site.